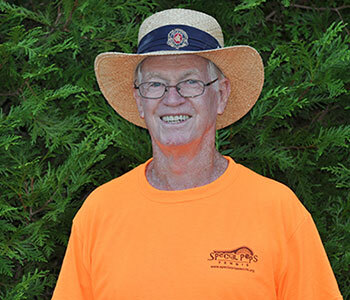 Business Employed as Special Pops Tennis Executive Director. Special Pops Founding member of Special Pops Tennis; elected to the Board of Directors in 2005. Current Chairman of the USTA – Southern section Adaptive/Special Populations committee; Current member of the Special Olympics North America Tennis Development Committee. Tennis Coach of Team USA – Southeast Region at the 2003 Special Olympics Summer World Games in Dublin, Ireland. Head Coach of Team USA – 2011 Special Olympics World Games in Athens, Greece. Tennis Coach for Team USA – 2019 Special Olympics World Games in Abu Dhabi, Dubai; Affiliate Member of Professional Tennis Registry. Member of USTA; Prior recipient of the USTA Southern Section Adaptive Tennis Community Service Award; 2017 recipient of the Harris-Gude Foundation Honor of Distinction; Tommy Nobis Foundation Philanthropy Award. Business Professionally, Nancy Curtin Morris is a human resource performance consultant, specializing in leadership development, coaching and learning. Nancy’s career spans 30 years in the hospitality arena; 24 of those with Marriott International. 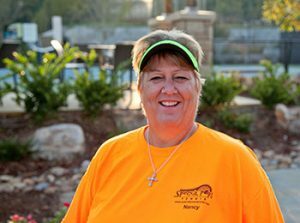 Upon retiring from Marriott, Nancy founded and is president of the Trinity Team, Inc.
Special Pops Personally, Nancy is a former division 1 tennis player and continues to play (and coach) in ALTA and USTA. Nancy is married and has three children, ages 16 and 13 (twins). She lives in Smyrna. Nancy was elected to the Special Pops Board in 2013.
Business Ricco is currently Manager of Distributor Sales, for the Western US, Pepsico Warehouse Sales division. His career spans over 30+ years and in addition to his current role, he has served in various sales and marketing positions for other leading consumer products companies including the Drackett Products Company and Gaines Foods. Special Pops Tennis Elected to Special Tennis Board of Directors in August, 2009. He is also the parent of a Special Pops Athlete. Business Background includes over 30 years in management roles with the Coca-Cola Company and Alcan\Rio Tinto. Positions across the 2 companies included CFO, Treasurer, and Corporate Business Development Manager. Lived in Vienna and then Moscow providing strategic planning and transaction services for over 30 transactions in Eastern Europe, Central Asia and Russia. Special Pops Special Pops volunteer since 2009, certified Special Olympics Georgia coach and Unified partner. Member of ALTA and USTA. Elected to Special Pops Tennis Board of Directors in 2015. BusinessPresident of CMP, a national outplacement /career management/talent development firm with offices across the USA. Prior roles included senior marketing and sales positions with leading consumer product companies such as Georgia Pacific, Kao Brands, Kraft/General Foods and The HON Company. Patrick has a B.A. from The University of Michigan and an MBA from Michigan State University. Special Pops Tennis Patrick became involved with Special Pops Tennis in 2010 after visiting the Summer Games to see the son of a friend compete. It was at that event that Patrick knew he had found a new home serving and connecting with the adaptive needs community. 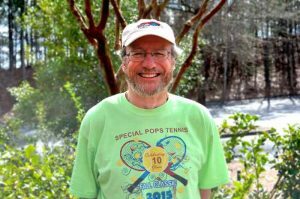 Since that event, he has since become the Site Coordinator for The Special Pops Tennis East Roswell Park Academy, a Special Pops Tennis board member and a Basketball Coach for Special Olympics (it gives him something to contribute to during the cold weather months). Business MBA in Marketing from Emory University. 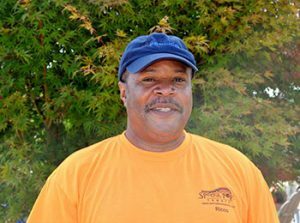 Founder and President of NetKnacks Tennis for over 25 years. 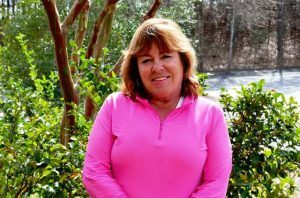 Following the sale of NetKnacks to Pinnacle Promotions, Marcy has become a member of the Board of Directors of CCOS Charity Guild, USTA Southern, USTA Georgia, and Georgia Professional Tennis Association. She is also the Chair of the USTA National Adaptive Tennis committee. 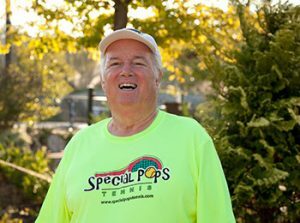 Special Pops Elected to Special Pops Tennis Board of Directors in October 2017. 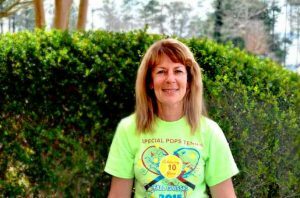 Marcy began volunteering with Special Pops Tennis programs in the 1990s through the ALTA Foundation and her family currently volunteers for Special Pops Tennis at the East Roswell Park and Lifetime Tennis and Athletic locations. Special PopsKathy started volunteering for Special Pops Tennis at the 2014 Fall Classic. 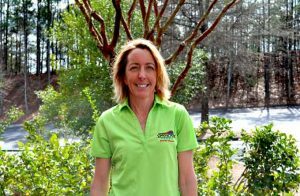 Since then Kathy’s involvement includes participation as a unified partner in the SPUD League and also the Special Olympics Summer Games at Emory. She has assisted at the Skills Spectacular event. She currently serves as Special Pops Tennis site director at the Standard Club location. She is an active USTA and ALTA member. Business Pete’s 40-year business career includes sales, sales and marketing management, and business unit management in the specialty chemical industry. 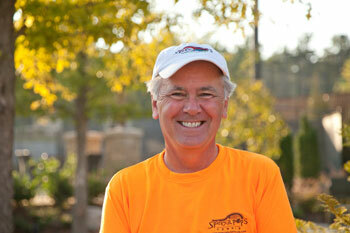 Most recently, he has been President of Atlanta Storage Concepts, Inc., a warehouse equipment company. Pete has also been a volunteer and member of the board of directors of an Atlanta area charity focused on serving the needs of homeless children. Special Pops Pete has been a SPT volunteer since 2009, certified Special Olympics Georgia coach and Unified partner. Member of ALTA and USTA. Elected to Special Pops Tennis Board of Directors in 2015.
Business Retired in 2016 as the Advertising Director in The New York Times Advertising Office in Atlanta. In addition to managing a sales team, Sissy also sold advertising for the newspaper, The New York Times Magazine and all things digital, relative to The Times. In her career prior to The New York Times, she managed the Southeast territory for advertising at Tennis Magazine. Past board experience includes the ALTA Foundation as well as the Country Club of the South Charity Guild. Currently involved with overseeing a 14-person volunteer group for Meals on Wheels through Senior Services of North Fulton. And in the planning stages of working with 20 friends on a Thanksgiving and holiday program for a group home through Children’s Restoration Network. Special Pops experience includes being a parent to a Special Pops Tennis athlete, Tyler Luciani. His experience has been wonderfully positive for himself and our family.